Full time restorer of Orchestrions, Nickelodeons, Band Organs, Jukeboxes, Player Pianos. Music roll manufacturing, esp. Mills Violano, Regina Sublima, and others. Over 20 years experience. Will travel. Parts fabrication and duplication. I am a Piano Technician serving central New Hampshire's Lakes Region under the name of Boulton Piano Service, established in 1971. I offer Tuning, and Repairing of all makes of pianos. I am now only doing in house repairs and tuning. The Houle family (Bernie and Norman)of Warwick, Rhode Island has restored two player pianos for my family, and done a wonderful job. I've requested previously, but please include them on your list. They've been in business for years, and have a large stock of players waiting to be restored to customer specs. This listing provided by Tim Baxter. RPT Member Connecticut Chapter, Piano Technicians Guild, since 1982. Full time player piano restoration since 1977. Service includes all player pianos, reproducing pianos and coin operated instruments. High quality restoration work using hide glue, proper leather, and pnuematic cloth where indicated. Experienced full service rebuilder, specializing in rebuilding grands and player pianos. Including new: pin blocks, actions, restringing, sound boards, bridges.) I also do grain filled, rubbed finishes and professional moving. (I can compete with the moving companies for cost within a c400 mile radius of Erie, PA.) Buying and selling pianos as well as converting pianos into players via vacuum or electronic player units. I also build and sell Orchestrians! I have been in the piano restoration business for about 30 years and have been very fortunate to have fallen heir to the wonderful facility of John Farnsworth to work on pianos. We do total restorations here, to include The Ampico, Duo-Art, and Welte-Mignon. Restoring as well as repairing player actions and piano players. Have tuned in the past but prefer to leave that to a good friend that does it for a living. I've found that most of the time player pianos can't be merely patched up to work. They most likely need rebuilding due to the fact that all the parts are old and dry and tend to be unable to handle new workings when installed. I've been dong this work on and off for about 15 years now and have worked at times with the greatest restoration man I know, Arthur Pierce, of Plattsburgh NY. I am a one man piano shop that restores only old upright foot pumper player pianos. I have been repairing them for over 25 years now. 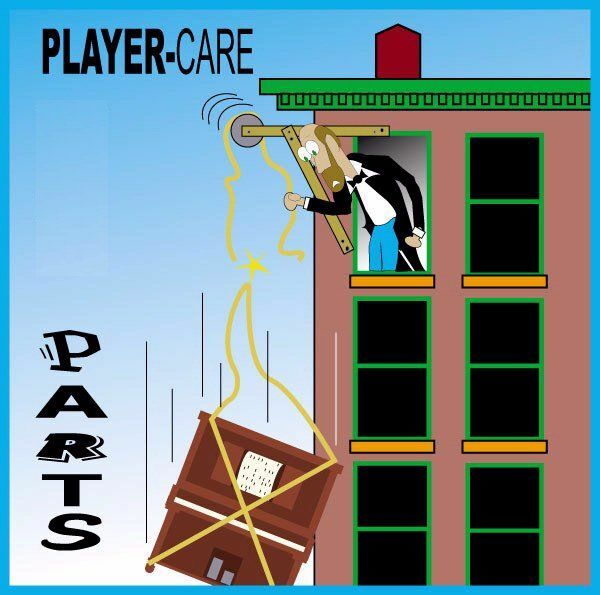 First, the player mechanism is put aside and the piano itself is brought up to whatever level of sound and appearance that the owner dictates, then the rebuilt mechanism is re-installed. After, with both parts working well, you end up with a great sounding, good looking, and easy to pump instrument. We rebuild and repair pneumatic players and pump organs as well as retrofit PianoDisc Systems. We're mainly rebuilders servicing aprox. 60 schools, five colleges, scores of churches, in addition to our private client base. We're always on the lookout for good used instruments in need of rebuilding. We specialize in victorian era. Anything we can offer, let us know. Though we limit ourselves to the Southern half of New Jersey, our work gets shipped to the four corners of the U.S. He is one of the finest technicians around and his prices are reasonable. He is an electrical engineer by education but has been restoring mechanical musical instruments for nearly 20 years. He has restored items for many of the big names in the field with very happy results. His areas of greatest expertise is all pneumatic instruments, especially Ampicos, all types of organs including band organs, monkey organs, theatre organs and residence organs plus calliopes. He is very familiar with MIDI and has done a number of large installations with multiple input sources both roll readers and MIDI inputs. We have been restoring player pianos, reproducing pianos, coin operated pianos, and band organ type instruments for over 20 years. We also specialize in Jukeboxes of all makes and models, with an emphasis on Wurlitzer and Seeburg, from the earliest instruments to the 1980's. Custom built roll operated instruments are available. I am available for services extending from Virginia and going up to the New York/Westchester County/NJ/Connecticut tri-state area. I am a pipe organ and piano technician with nearly thirty years experience in servicing and rebuilding many related instruments including numerous player pianos. I am an associate member of the Piano Technicians Guild. At my shop I can rebuild your complete piano or just the player action if you ship it to me. Unless you have something quite rare, chances are that I have seen it before. Recent major projects have included rebuilds of two E M Skinner Organ Harps for Austin Organs Inc.and work on their Opus 323 municipal concert organ at Portland City Hall. Full time Piano/Player Piano technician since 1985 (2nd generation piano technician). Very active member in The Piano Technicians Guild, AMICA (Automatic Musical Instrument Collectors Association), Mechanical Music Digest and Long Island Woodworking Club. References provided upon request, visit my workshop. Reasonable pricing. Restorations completed within a reasonable period of time. Detailed written estimates, work guaranteed. Restorations documented with digital photos. Player piano tools for sale. My original, innovative specialty tools have appeared in major trade publications and have been widely demonstrated at conventions and seminars. These tools aid in efficiently achieving factory original results. Tuning, Repair, Restoration, Sale and Appraisal of roll operated antique player pianos. Dealer for new Story and Clark player pianos and pianomation system. Full time player piano restoration shop established in Quincy Mass. 1978, also buy and sell all types of pianos wholesale/retail. Offer complete piano/player piano restoration, coin operated conversions,and pianomation installation. Have a good size inventory of used player parts. I have been in the piano/ player piano trade for 16 years, having apprenticed with Herb Benedict of Hopkinton, NH. I offer all services of player piano repair and restoration, from tuning to restoration of those that arrive in boxes. If you need any more info, please contact me. I tune and repair regular pianos and player pianos. I also rebuild band organs, nickelodeons, player pianos, regular pianos, reproducing pianos, pump organs and related instruments. Rebuilding, restoring, and repairing player pianos and related instruments since 1980. Occasional (seasonal only) refinishing. One man, home shop, offers personal, dedicated attention. I usually have an upright player piano, rebuilt and refinished, "ready to go", or near completion, for sale. A small trade-in of a non-working player (in good restorable condition) can be given towards a freshly rebuilt instrument. I also repair banjos of all types. Specializing in 4 string tenor or plectrum models (dixieland/jazz banjos) of any vintage. Factory trained installer of Dampp-Chaser piano environmental control units. I specialize in grand and upright player piano restoration of both 88 note and reproducing pianos. In business since 1995, I am an active member of the Pittsburgh Chapter of the Piano Technician's Guild and co-hosted the AMICA convention in Pittsburgh in 2012. I use only traditional materials and restoration techniques. Contact me via phone or internet for an initial consultation. Since l978 I have been restoring pianos, player pianos and pump organs with an occasional nickelodeon, music box, phonograph, or organette thrown in. I am a Craftsman Member of the Piano Technicians Guild. I am honest and conscientious. Serviceability and future restorability are paramount to me. I am near the Albany area of N.Y. Please give me a call and we'll talk. Charlottesville Piano restores pianos, even those with player systems, but we don't repair nor restore the systems themselves. We also sell pianos with QRS Systems and PianoDisc systems. We are installers of the PianoDisc system. We are also piano movers, tuners, technicians, and refinishers, and have been in business since 1908. Tom Shaw, owner, is a third generation rebuilder, tuner and technician. We ship to and receive from anywhere in the world! David Estey Piano Service has been Rebuilding, Refinishing, Selling and Servicing all Pianos and Player pianos for over 30 years. Now we are also a certified dealer for Estey Pianos. There are always player pianos available for purchase as is, or in restored condition. We are located in beautiful Passaic NJ, where our 9,000 square foot restoration factory is located, and travel all over the tri state area and beyond, in search of pianos to restore- pianos that connect us with the past, give us enjoyment in the present, and project our legacy into the future. We also restore pump organs and reproducing players, and are certified installers and dealers for Pianomation Player systems. David Estey is a Registered Piano Technician with the Piano Technicians Guild. E Mail, Call us, or come visit the factory in person, or virtually at www.esteypiano.com We would love to hear from you. Tuning, servicing and rebuilding pianos on Cape Cod for over 30 years. Have restored both 88 note upright players and reproducing Grands, antique pump organs as well as spinets for the past 30 years. Paul Manganaro, a master restorer, has been a mentor for me for years. I have been repairing/rebuilding pianos, player pianos, and nickleodeons since 1972. Certified PianoDisc and Pianomation(QRS) technician. Servicing Maryland, Pennsylvania, Virginia and Washington DC. Will travel and ship to USA and Europe. 31 years rebuilding and repairing player and reproducing pianos. Full restoration 'soup to nuts' of the entire piano (including refinishing) available. 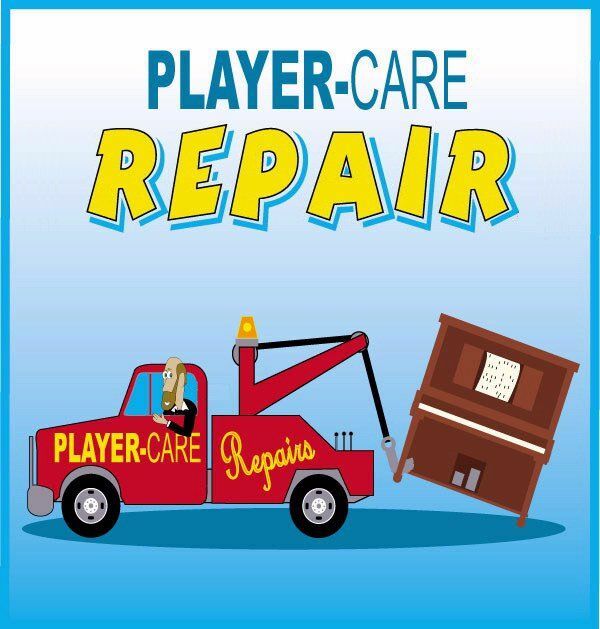 In home minor player repairs that do not involve the removal of the mechanism from the piano. Covering the Tri-state area including Lehigh Valley, Delaware/Chester/Lancaster counties and Central/South NJ. Please call for information. Thanks. Norman Hall is a 3rd generation player piano technician based out of New England with 35 years of experience fixing reproducing, upright and grand player pianos. He offers free pickup and dropoff of anything he fixes within the East Coast/American Northeast (other locations negotiable) and has an attention to detail second to none. Please e-mail or call for rates. Restore pianos. players, reproducers and reed organs. Tuning, refinishing and complete service. 35 years experience Member of AGO and ROS. I have been a full-time piano technician and tuner since 1971. My interest in pianos began with fixing player pianos in high school. I will gladly tune and repair your player piano. Ravert's Piano Restorations, Inc. has rebuilt player pianos, nickelodeons, reproducing pianos, reed organs, and band organs for over forty years. We have rebuilt for individuals, large collectors and museums. Samples of our work can be viewed by appointment by calling 570-538-2155. We are insured. AMI Enterprises was founded in the last century! (1970 to be precise.) I (John Grant) have been a member of the Automatic Musical Instrument Collectors Association (AMICA) and the Musical Box Society, International (MBSI) for most of those years. I have contributed articles (mostly technical in nature) to the publications of both organizations and have given technical seminars on aspects of player piano technology and restoration at past international conventions. I have presented a multi-media demonstration of reproducing piano technology at the Smithsonian Institution's Hall of Musical Instruments and maintained its Mason & Hamlin Ampico B piano until its retirement from active exhibit. Although I specialize in "reproducing" pianos, I can have my arm twisted for regular "pumper" pianos and parlor pump organs. I also have restoration experience in player organs (AEolian Residence Pipe Organs and Orchestrelle Reed Organs) and automata such as singing bird cages. Reproducing piano restorations have included Duo-Art, Ampico A & B and several Welte formats in up to 9' concert grand instruments. I have experience in several electronic player systems including the Stahnke SE installation in 9 1/2' Bosendorfer at the University of Maryland, Piano Disc, and more recently, the Hunt Piano Company's "Virtual Roll" system. I have well-equipped metal and wood working shops, and although I limit myself to player mechanism tasks, I have associates available to me who are skilled in other "normal" piano restoration tasks such as keyboard and action refurbishment, hammers, dampers, re-stringing, re-pinning, pin block replacement, up to, and including completely new soundboards and bridges. I have local access to a top level re-finisher who specializes in piano re-finishing. Although I do not maintain a web site specifically for my restoration activities, I currently have only about a three month back-log and can offer competitive pricing. Please call, write, or email to discuss your needs. I'm a digital player technician (Pianodisc, QRS, Disklavier, LX) in Baltimore and I'd like to be a part of your site. I've been servicing DC, Baltimore, NOVA and surrounding regions for 12 years. I started out at 17 years old working on my parent's Jacob Doll & Son upright player and then found myself working for several years with the Antique Phonograph shop on Long Island rebuilding player pianos for them. Continued on to working on pipe organs while continuing as a player technician in later years. I am knowledgeable and passionate about the restoration and maintenance of pneumatic player pianos, organs and other automatic musical instruments, utilizing as close to original materials as possible. I am a Registered Piano Technician through the PTG and a player piano specialist. I have been doing this since 1984. I have been restoring player pianos since 2012. My background is specifically in player piano rebuilding, and I like to have a "whole instrument" approach with my rebuilds and restorations. I am located in Dover, Delaware, but serve all the surrounding areas to include Baltimore/Washington, D.C., Wilmington/Philadelphia, Southeastern Maryland, and Southern New Jersey. Currently accepting small rebuild projects (facilities for full rebuilds coming soon! ), as well as regular service calls and tunings. Feel free to call/text, or email me with all your player piano concerns! Player and reed organ restoration. Half a century of experience. I have been in business for over 40 year. Rebuilding player pianos, restringing, and refinishing. Also, installation of Pianomation 3, the most modern iPhone player piano. The information presented in this page was provided by the individual technicians listed herein or their friends and they are solely responsible for the accuracy of the listing. Any outdated links or changes should be brought to my attention via this E-FORM -Click Here. ALL Comments and Suggestions for this page are welcome. This page was last edited on November 29, 2017 by John A. Tuttle.